The Telecommunications Industry Association (TIA) TR-42 Telecommunications Cabling Systems Engineering Committee has approved the ANSI/TIA-568-C.2-1 specifications for Category 8 cabling systems. The document is now awaiting publication and is likely to be available soon. 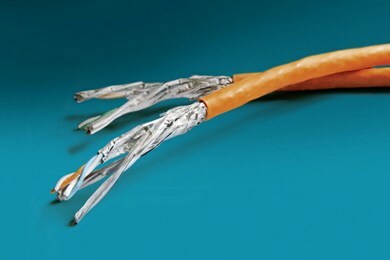 The Category 8 standard document was developed by the TR-42.7 Telecommunications Copper Cabling Systems Subcommittee. As the IEEE continues to work toward its 25GBase-T and 40GBase-T specifications, the TIA’s Category 8 cabling specs to support those applications are now final. But this significant milestone is not by any means the proverbial end of the line for Category 8 cabling. The next wave of development will be products coming onto the market. We will continue our efforts to stay in close touch with the industry’s suppliers and bring you news of Category 8 component and system introductions.